Renovating your home can be very exciting, but it can also be very dusty and chaotic. After all, there’s usually a lot of movement and work to do, so avoiding dust completely is quite impossible. What you can do, though, is keep it under control. So, if somebody in your family has respiratory issues, or if you simply want to protect your furniture items from the dust, here are a few things you can do to keep dust under control during your remodeling project. First things first, you need to accept that keeping all the potential dust at bay is going to cost – not a lot, but still, enough to be included in the budget. Many people neglect this small detail, only to regret not thinking about it sooner. So, you can either set aside $100-$200 for controlling dust, or you can spend that much, if not more, on all the cleaning products and help that you’ll later need if you don’t do anything about the dust on time. Although this might seem like an obvious thing to do, it’s often overlooked or not done properly. So, first, you should remove all the furniture from the room that’s being renovated. Then, you should wrap up all the bigger furniture items in plastic. This should keep them clean, as long as you seal the plastic properly. You can also use plastic for protecting the floors, but keep in mind that it can be slippery, so you might want to opt for some other form of protection, like builder’s paper or cardboard floor protectors. Your HVAC systems will blow out dust particles just as easily as they blow out air, which is why you should ensure that they are properly sealed. Plus, too much dust can clog up the air filters, which only means additional expenses. Fortunately, this is also a problem that you can solve with plastic – you can wrap your AC units and all the other vents in sheet plastic and secure the plastic with a bungee cord or duct tape. Also, if you notice that any part of the plastic is torn or pierced through, make sure to fix it right away. Dust can get into the tiniest holes, which is why you should check for any damage continuously throughout your remodeling project. After wrapping your furniture in plastic, it might not be a bad idea to get it out of the way completely. This way, you wouldn’t have to think about it at all, and it would be safe until the end of the renovation. To do this the right way, you should consult professionals like Moving Containers about the best way to store and transport your items. Of course, you should also find some temporary storage where your items can stay for the duration of the project. So, don’t forget to include this into your budget as well, especially if you own any valuable items that you don’t want to see damaged. Many people make the mistake of taking down all the protection as soon as the demo part of the remodel is over. However, not many things create more dust than cutting and sanding drywall. So, if doing that is a part of your renovation – and it probably is – try to do it in the backyard, and bring only the finished pieces inside. Also, don’t take down any dust protection until your project is completely over. Dust often comes through the front door, settles in entryways, and from there, it’s easily spread around the house. So, make sure to clean your entryways often. Additionally, it might not be a bad idea to keep a small vacuum cleaner nearby, which you can use to occasionally clean the area. Speaking of vacuums, after the renovation project, make sure to vacuum your home thoroughly just in case any dust particles managed to get through. 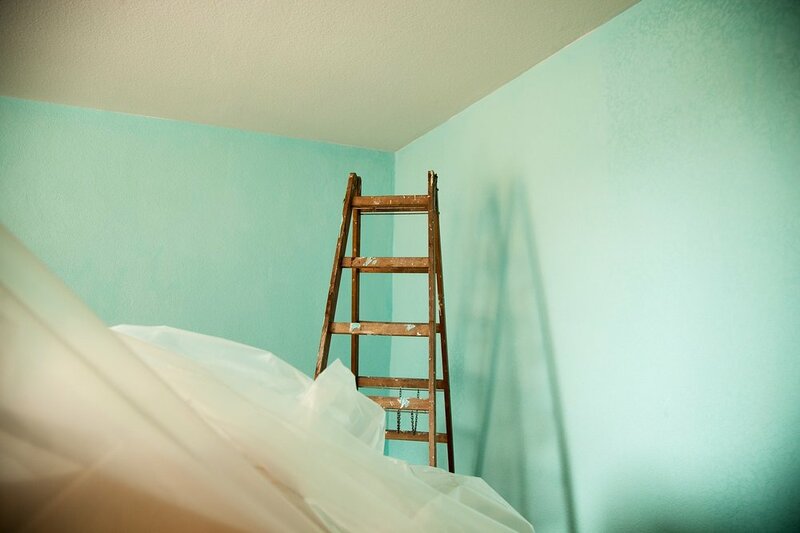 Keeping your home dust-free during your renovation project can be a challenge. However, with some effort, a bit of plastic, and good organization, everything is possible. Therefore, consider the listed tips, apply them to your home, and you shouldn’t have too much trouble with dust. About the author: Mike Johnston is a home improvement blogger and DIY enthusiast from Sydney. He is a regular writer at Smooth Decorator and contributor to numerous lifestyle, real estate and green living blogs. Mike’s goal is to create and share meaningful content that helps and inspires people.